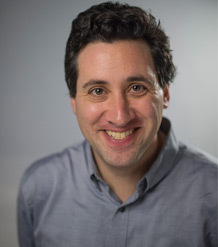 David Reinstein joined the University of Exeter Business School as a Senior Lecturer in Economics in January 2016. Originally from the USA, David earned his undergraduate degree in Economics at George Washington University. He completed his PhD dissertation under the supervision of Emmanuel Saez at the University of California, Berkeley in 2006. From 2006-2015 he worked at the University of Essex, where he was granted permanency in 2012. In addition to his active teaching role and research agenda, David was instrumental in helping found the ESSExLab, introducing an oral presentation to the undergraduate curriculum, and creating a joint degree scheme with SKKU Seoul Global Economics. David’s research is concerned with the determinants and consequences of other-regarding preferences in market and non-market settings, and with the relationship between incomplete information, anonymity, social trust, and other-regarding behaviour. He has addressed a wide variety of specific topics, including charitable giving and other-regarding behaviour, social influences on giving, anonymous contributions to public goods, and the impact of tangible money on decision-making. He employs a robust set of tools, including lab and field experiments, economic theory, and econometric analysis of observational data. David has obtained research support from the British Academy and Data Without Boundaries. David is actively pursuing an impact and knowledge-exchange agenda. He is eager to engage and collaborate with businesses, non-profits, fundraisers, policymakers, and journalists. My research considers altruism, charitable giving, social and psychological influences, life choices, and consumer behaviour. I combine economic modelling, analysis of observational data, and lab and field experiments to answer a variety of interconnected questions, and build innovative policy and management tools. Does one contribution come at the expense of another? With the large number of worthy causes appealing for our funds, it is impossible to donate to them all. But when a particular convincing fundraiser talks us into donating to one cause, does this lead us to give less to others? Are we merely “robbing Peter to pay Paul”? In several papers and ongoing projects I seek to measure to what extent being induced to donate to one charity will affect donations to existing unrelated charities. Are people more generous from ‘future bonuses’? If you won a $100 million in the lottery, how much of it would you give to charity? How much do you think you should give? Can we commit you now to state an amount to be automatically deducted from your prize? Or would it be better to wait until after you won, and ask you then? Which would be more effective? Intuition as well as prominent behavioural models predict that people will be more generous with ‘bonus income’ and unexpected windfalls than with ‘regular income’. Similarly, they will be more generous in committing income that they have not yet earned, and may not earn, than with money they already have in their pocket. Our recent evidence, from lab and field experiments, supports this. I am proposing a project of knowledge co-production: I aim to work with banks, investment firms and fundraisers to test our previous findings in high-stakes field experiments involving bonuses, and to explore the usefulness of this concept for financial products. Does anonymity build group trust? Have you ever been at a restaurant with a group of friends where you each offer to pay the amount you feel you owe? In such a case some members of the party may attempt to free ride off the others. This leads us to the question, how much can we trust our friends? In this paper we attempt to answer this question by providing a system that allows members of a party to learn each others willingness to pay. This allows ‘free riders’ to reveal this fact without any form of independent social stigma. This will lead to a greater level of cooperation amongst individuals, as people better understand how much they can trust those around them. Rejection hurts, and there is a particular sting in letting another person know you are interested, only to be turned down. The desire to avoid this pain and possible loss of reputation makes people reluctant to express their interest in others. Thus, in the areas of romance, business, and friendship, we avoid making overtures to potential partners even in cases where, as it turns out, the other party feels the same way. In this paper we provide a solution to this problem by suggesting that people should only be aware of each others’ level of interest in the proposition when both individuals say ‘yes’. This can lead to more matches between individuals without either party having to suffer a rejection. What is the value of an ‘elite degree? “Exclude the Bad Actors or Learn About the Group” with David Hugh-Jones (UEA). Reinstein D, Riener G, Kellner C (In Press). Ex-ante Commitments to "Give if you Win" Exceed Donations After a Win. Journal of Public Economics Full text. Reinstein D, Gall T (In Press). Losing Face. Oxford Economic Papers Full text. Reinstein D, Riener G, Kellner C (2018). Ex-ante commitments to “give if you win” exceed donations after a win. Journal of Public Economics Author URL. Full text. DOI. Kellner C, Reinstein D, Riener G (2015). Stochastic Income and Conditional Generosity. Hugh-Jones D, Reinstein D (2012). Anonymous rituals. Journal of Economic Behavior and Organization, 81(2), 478-489. Some social institutions reveal participants' behavior in the aggregate, while concealing the identities of the participants. For example, individual church donations may be kept anonymous, while the total amount raised is publicized. This presents a puzzle in light of recent evidence that anonymity reduces contributions. We offer an explanation for this puzzle in the context of a model of costly signaling with two types of agents: conditionally cooperative (" good" ) and uncooperative (" bad" ). We consider costly participation in a community activity (e.g. tithing) as a signal of an individual's type. By signaling the presence of one more good type, this may lead other good types to contribute more in future, more important, collective goods problems (CGP's). Thus, if good types also value others' contributions more than bad types, good types gain more from sending the signal. But if those who do not signal face exclusion, the signal would need to be made very costly to dissuade bad types from signaling. In contrast, if the institution is anonymous, so that it reveals only the total number of signals, then while signals cannot be used to exclude bad types, even an inexpensive signal may succeed in revealing the total number of good types. This informationhelps good types maximize the conditional cooperation component of their utility in the CGP, and under specified conditions, can increase expected CGP contributions. We characterize conditions under which an anonymous signaling institution increases expected welfare. We provide examples of institutions that may yield such benefits, including religion, music and dance, voting, charitable donations, and military traditions. © 2011 Elsevier B.V.
Reinstein D, Riener G (2012). Decomposing desert and tangibility effects in a charitable giving experiment. Experimental Economics, 15(1), 229-240. Several papers have documented that when subjects play with standard laboratory "endowments" they make less self-interested choices than when they use money they have either earned through a laboratory task or brought from outside the lab. In the context of a charitable giving experiment we decompose this into two common artifacts of the laboratory: the intangibility of money (or experimental currency units) promised on a computer screen relative to cash in hand, and the distinct treatment of random "windfall" gains relative to earned money. While both effects are found to be significant in non-parametric tests, the former effect, which has been neglected in previous studies, has a stronger impact on total donations, while the latter effect has a greater impact on the probability of donating. These results have clear implications for experimental design, and also suggest that the availability of more abstract payment methods may increase other-regarding behavior in the field. © 2011 Economic Science Association. Reinstein D, Song J (2012). Efficient Consumer Altruism and Fair Trade Products. Journal of Economics and Management Strategy, 21(1), 213-241. Consumers have shown a willingness to pay a premium for products labeled as "FT" and a preference for retailers that are seen to be more generous to their suppliers/employees. A FT product is essentially a bundle of a base product and a donation to the supplier (e.g. a coffee farmer). An altruistic rational consumer will only choose this bundle if doing so is less expensive than buying the base product and making a direct donation. For FT to be sustainable either in a competitive equilibrium or in a monopolistic environment this bundling must yield an efficiency. This efficiency is generated in the following context. A supplier's investment reduces the retailer's cost or boosts the final product's quality, but this investment is not immediately observable and cannot be enforced, hence there exists a moral hazard problem. In this environment, the altruism of the consumer can facilitate a more efficient contract: by paying the supplier more the retailer can both extract more consumer surplus and increase the level of contracted investment, while preserving the supplier's incentive compatibility constraint. We assess our model in the context of the coffee industry. © 2012 Wiley Periodicals, Inc.
Reinstein D, Riener G (2012). Reputation and influence in charitable giving: an experiment. Theory and Decision, 72(2), 221-243. Previous experimental and observational work suggests that people act more generously when they are observed and observe others in social settings. However, the explanation for this is unclear. An individual may want to send a signal of her generosity to improve her own reputation. Alternately (or additionally) she may value the public good or charity itself and, believing that contribution levels are strategic complements, give more to influence others to give more. We perform the first series of laboratory experiments that can separately estimate the impact of these two social effects, and test whether realized influence is consistent with the desire to influence, and whether either of these are consistent with anticipated influence. Our experimental subjects were given the opportunity to contribute from their endowment to Bread for the World, a development NGO. Depending on treatment, "leader" subjects' donations were reported to other subjects either anonymously or with their identities, and these were reported either before these "follower" subjects made their donation decisions. We find that "leaders" are influential only when their identities are revealed along with their donations, and female leaders are more influential than males. Identified leaders' predictions suggest that are aware of their influence. They respond to this by giving more than either the control group or the unidentified leaders.We find mixed evidence for "reputation-seeking." © Springer Science+Business Media, LLC. 2011. Reinstein DA (2011). Does one charitable contribution come at the expense of another?. B.E. Journal of Economic Analysis and Policy, 11(1). Does one charitable contribution come at the expense of another? This paper defines, discusses, and measures "expenditure substitution" in charitable giving. Motivated by a model of conditional demand, I consider the extent to which a "temporary shock" that increases an individual's donation to one cause by a particular amount displaces her gifts to other charitable causes. I use the 2001-2007 waves of the PSID/COPPS, the first data set of its kind, to identify this. Households that give more to one type of charity tend to give more to others. However, many of the correlations between the residuals after fixed-effects regressions are negative and significant, particularly for larger donors and for certain categories of charitable giving. Given plausible econometric assumptions, the negative correlations are strong evidence of expenditure substitution. Overall, these results suggest heterogeneous motivations for giving: small givers may be mainly driven by temporary shocks and personal appeals while larger givers may have concave multi-charity warm-glow preferences. Copyright © 2011 the Berkeley Electronic Press. All rights reserved. Reinstein DA, Snyder CM (2005). The influence of expert reviews on consumer demand for experience goods: a case study of movie critics. Journal of Industrial Economics, 53(1), 27-51. An inherent problem in measuring the influence of expert reviews on the demand for experience goods is that a correlation between good reviews and high demand may be spurious, induced by an underlying correlation with unobservable quality signals. Using the timing of the reviews by two popular movie critics, Siskel and Ebert, relative to opening weekend box office revenue, we apply a difference-in-differences approach to circumvent the problem of spurious correlation. After purging the spurious correlation, the measured influence effect is smaller though still detectable. Positive reviews have a particularly large influence on the demand for dramas and narrowly-released movies. © Blackwell Publishing Ltd. 2005. Reinstein D (2014). The economics of the gift. In Carla F, Gori M (Eds.) Gift Giving and the 'Embedded' Economy in the Ancient World, Heidelberg, Germany: Universitätsverlag Winter. Reinstein D, Song J (2019). Listen to the market, hear the best policy decision, but don't always choose it. Listen to the market, hear the best policy decision, but don't always choose it. Policymakers often consider policies with (a) uncertain social benefits and (b) uncertain impacts on the value of private assets; we characterize six ways (a) and (b) may be inter-related. Where investors have private information over (b), policymakers may attempt to learn this through the response of asset markets to proposed policies. However, where this information is concentrated, an informed trader may profitably hide his information and “manipulate” the market. We show that it is nonetheless generically optimal for policymakers to listen and respond to asset markets, but under specified conditions they must commit (e.g. through “political capital”) to sometimes pursuing a policy even when the expected welfare effects are negative. Surprisingly, allowing traders to short-sell can make it easier for policymakers to induce truth-telling actions. Reinstein D, Song JS (2014). Listen to the Market, Hear the Best Policy Decision, but Don’t Always Choose it. such as 'trial balloons' and 'committing political capital'. A motivated student can learn a great deal from textbooks, online videos, etc. What, then is my role as a ‘real life’ university teacher? To engage with students, motivate them, and provide continuous interaction and feedback. To understand their strengths and weaknesses, and the specific ways their minds work. By grasping their thought process, I can determine where they may be getting stuck and help find better ways they can learn from their mistakes and more deeply understand the key concepts. To motivate students to cultivate and show off their talents and ideas. This can lead to a strong academic or professional letter of reference. To expose students to the cutting-edge of research, to highly relevant up-to-date real world applications, and to the difficult and often unresolved questions of economics. To emphasize the importance of building strong professional and academic skills. These include clear, logical and critical thinking and writing, numeracy, and an understanding of real-world facts and institutions.